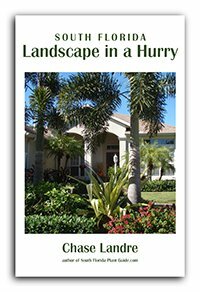 South Florida perennials are the "icing on the cake" of pretty landscaping, as they live several years or longer with cyclical bursts of flowers. The small, flowering perennials in this section have bloom colors of yellow, white, pink, purple, blue and more - and many attract butterflies. Exactly what is a perennial anyway? Many people confuse the definition of perennial with that of annual. Perennials last several years...usually 3 or more. Annuals are meant to last one year or season. 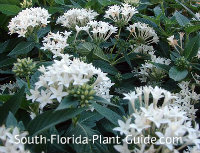 Some South Florida perennials are grown as annuals everywhere else ("perennial but treat as an annual") because they're too tender to winter over. Winters here, however, are mild enough for even some annuals to last more than one season when planted in an ideal spot. Perennials may live only a year, if they must deal with adverse conditions such as insufficient irrigation. Most aren't cold hardy, though they usually bounce back from a normal winter's cold snaps. Perennials, unlike annuals, won't give you constant flower color, because they go through cycles of bloom - and generally flower less often during our cooler months. But interplanting perennials with seasonal annuals can create year-round garden color. Not all are little plants grown for their flowers...plants considered perennial fall into many categories. Bromeliads are prized for their foliage and form. Others are more shrub-like, such as blue porterweed. SUCCESS TIP: Buy from a plant nursery rather than a box store. Nurseries keep their plants in light conditions like your yard (such as out in the blazing sun for sun-loving-plants) so the plants are ready to flourish when you get them home. 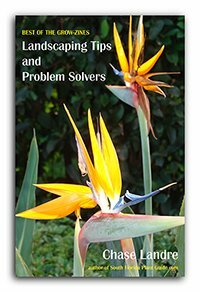 How much care do perennial plants require? Generally low-growing, some of the perennial plants in this section need regular trimming to keep them healthy and full. Others need little trimming, though most benefit from a "haircut" now and then. Best cutting time is during warm weather right after the plant has completed a bloom cycle. This promotes new growth and then new flowers. An after-winter cutting back (in late March or early April) helps the plant flush out again. You may want to deadhead (cut off spent flowers/flower stems) occasionally for some varieties. Regular watering and fertilization helps them thrive and flower often. What kind of light do they need? 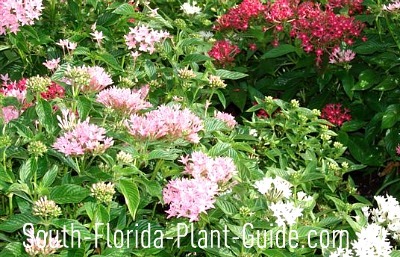 Some of these Florida flowering plants work in partial shade, though most prefer more sun. The all-in-one Plant Page (see link at the bottom of this page) will give you each one's light preference. All the best info and ideas from past issues of our monthly newsletter - The Grow-zine! Buy both "Best Of" ebooks & get this one FREE! Take us along when you shop! Use your smartphone to log on and get instant and reliable info on each plant as you shop. Our monthly almanac & newsletter South Florida Monthly Grow-zine will come straight to you every month - What to do in the garden this month - Special plant news - PLUS what's new at South Florida Plant Guide. Sign up below for next month's issue - and receive your FREE COPY of my article on "White Gardens." I understand that you will use my information to send me the free monthly Grow-zine newsletter - and that I can unsubscribe at any time with the link at the bottom of every email.